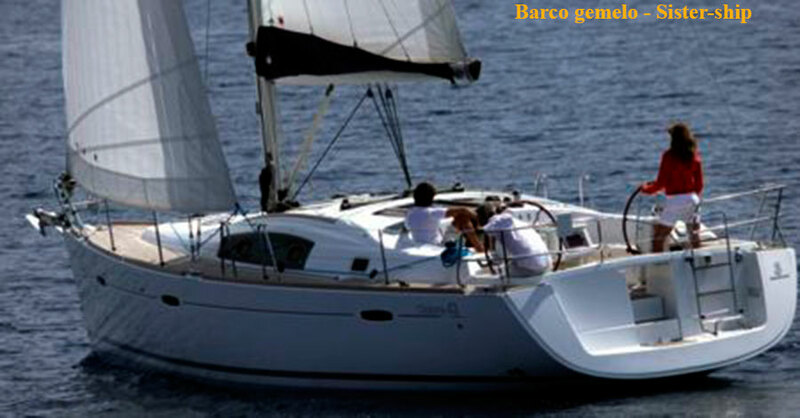 An elegant and modern cruiser of a great commercial success, thanks to its good qualities: ample, easy and good performances. This unit is in very good general shape. In 2006, when Bénéteau introduced the new Océanis range, to replace the Clipper one, the elegant lines from Olivier Racoupeau were much praised. Instead the presence of Nauta as interior designer made someone to worry a return to the Pininfarina and Philippe Stark not so practical inspirations of the past. This time, however, Bénéteau did not left space to any brilliance and the outcome was much practic with a considerably elegant style. The fine craftmanship of the Yard made a big success of the range, on a difficult moment, when the crisis was hitting the market. The Océanis 43 model has everything to please: elegant lines without being too much sophisticated, ample opens spaces either in cockpit a son deck, it's simple to handle and its performances, thought not racing, are fine enough for simple cruise. Down below, a wel crafted interior joins space and good stowage facilities to elegance, light and ventilation. This unit is in very well shape, in some details quite as new. She only needs a gel-coat polishing out-side. The engine and her equipments are in very good conditions. The owner's care is felt everywhere.